Each time data is lost, the average small business loses $3,000 as a result of stopped work, technical support costs, and recovery time. Guard your company against massive data and profit loss with a regular back up to removable media or another computer on the network. It's easy with ProjectBackup. 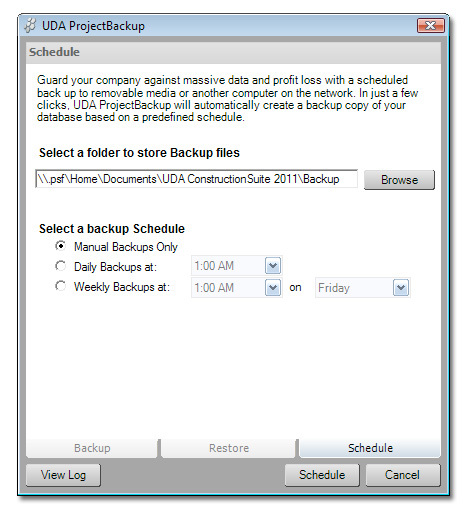 By utilizing ProjectBackup, your entire ConstructionSuite database can be archived and stored safely. Then, in the event of lost data, stolen computers, or hard drive failure, you can rest easy knowing that your valuable project data and business information can quickly be restored. 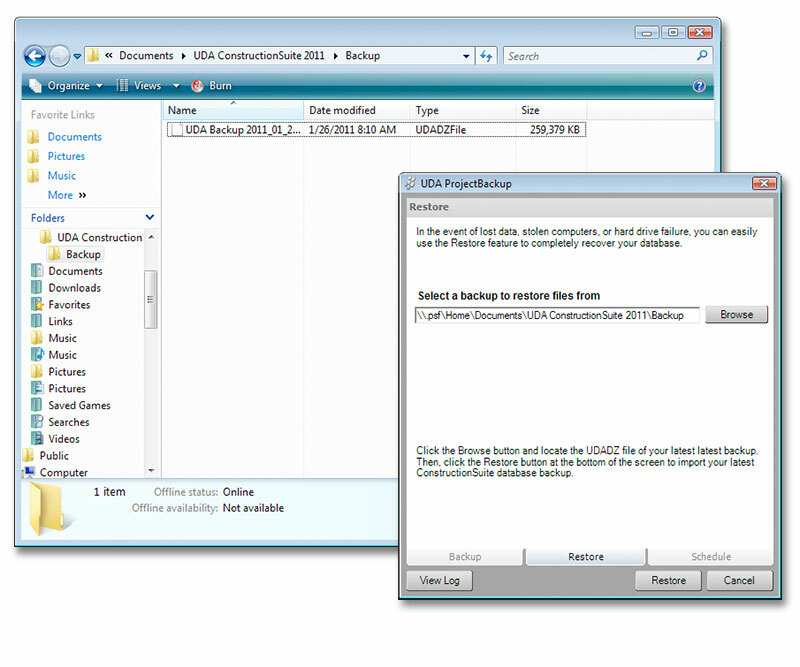 Quickly back up your entire ConstructionSuite database, including project information, files, contacts, and items. Know that your data is always protected by Scheduling automatic back ups to ensure that your data is always protected. Recover quickly from data loss with simple import and restore options from backed up database files. A regular back up procedure adds protection for your database against computer or hard drive failure, viruses, file corruption, crime, or other causes of data loss. To provide the most protection, you should schedule regular backups and be sure to transfer your backup folder to a remote or removable storage device. 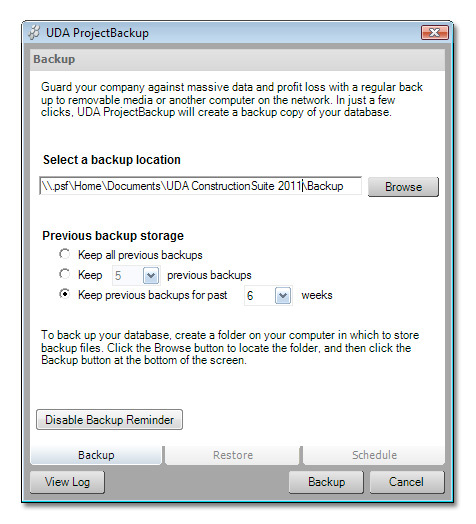 With the UDA backup utility, you can schedule a daily or weekly backup to ensure that your data is always secure.